Are you tired of pro Fossil Fuel or Nuke Puke Propaganda? ME TOO! Get the FACTS to shut down the lies, duplicity and obfuscation! Be Armed with IRON CLAD TRUTH the prevaricating liars CANNOT DENY. Save this, the most recent data available, provided by a network of more than 500 contributors and researchers from around the world, all of which is brought together by a multi-disciplinary authoring team. 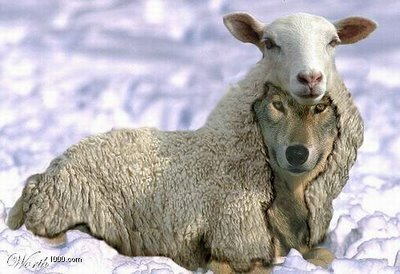 When the liars open their YAP, Make FOOLS of them with the TRUTH and send them crawling back to their Koch Masters. 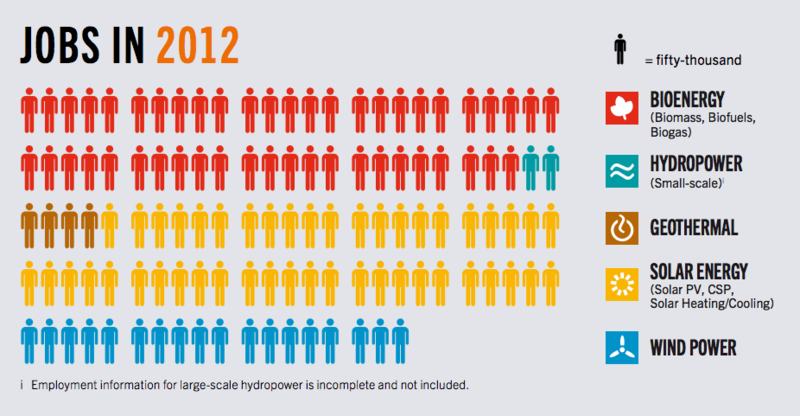 Non-hydro renewable being at 5.2% can be seen in a positive or a negative way. It’s much higher than it was just a few years ago, but it’s still a relatively small percentage. However you look at it, though, definitely realize that it is growing fast and will for years to come. We’re just getting started! That’s a nice curve if I’ve ever seen one! Wowza! And expect 2013′s total to be much bigger. South Africa has concluded the third of five bidding rounds in its Renewable Energy Independent Power Producer Procurement Program (REIPPPP). 17 renewable energy projects, valued at $3.3 billion, received the go-ahead out of 93 bids. In total, 1.5 gigawatts (GW) of projects are approved: seven wind, six solar PV, two concentrating solar, one landfill gas and one biomass. China Longyuan Power Group will develop 244 megawatts (MW) across two wind farms. Close behind it is a 100 MW solar concentrating plant to be built by Abengoa, which recently went public on Nasdaq (ABGB). Xina Solar One will have 5-hour energy storage and combined with its 100 MW KaXu Solar One, which is under construction, will be the biggest solar complex in Africa. A consortium led by Mainstream Renewable Power will build three wind projects totaling 360 MW, and will come online next year. That's in addition to 238 MW awarded in the first round of bids. With a development pipeline of 19 GW, Mainstream recently closed a €100 million equity investment with Japanese Trading House Marubeni Corporation. US-based SolarReserve won a bid in the previous round. The consortium behind these projects now hold a 20% share in South Africa's solar market. Earlier this year, Johannesburg-based Standard Bank Group and the Industrial and Commercial Bank of China agreed to jointly finance projects that win bids in the program. The program is intended to quickly boost renewable energy in the country while weaning it off coal, which supplies 85% of its electricity. 3.7 GW of renewables will be added by the end of 2016 after the five bidding rounds are completed. 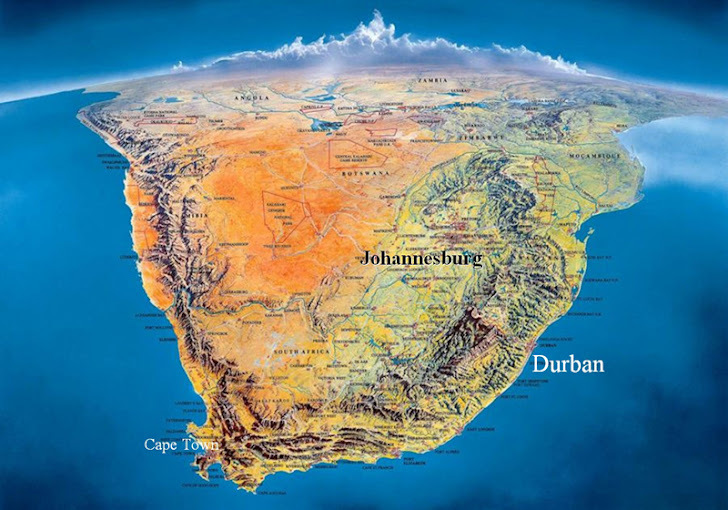 Last year, investors poured $5.7 billion into South Africa renewable energy projects, which have 20 year power-purchase agreements with the utility, Eskom, reports Bloomberg New Energy Finance. 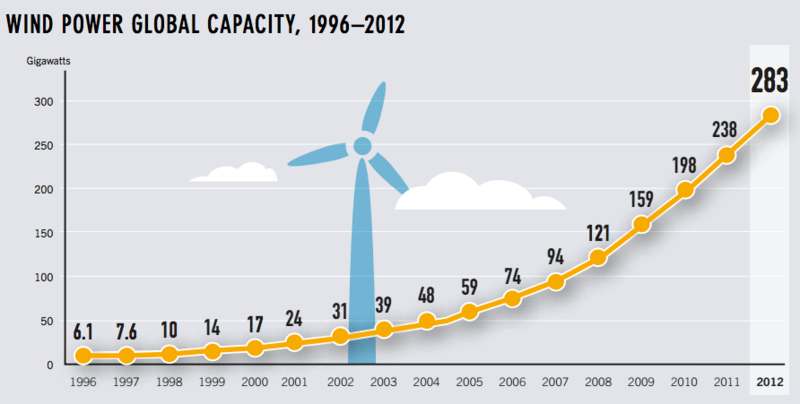 Because of this program, South Africa is showing the most rapid clean energy growth in the world. There is a deep irony at work in the intersection of energy and the environment. The biggest threat to our planet is climate change, caused in large part by our profligate use of energy. And one of the biggest solutions is to de-carbonize our electricity system by building renewable energy projects, linked to cities and large urban centers with new transmission lines. These renewable energy systems can require large amounts of land. But with careful planning, we can preserve conservation values while significantly reducing our carbon footprint. A second challenge is that most renewable energy and transmission development will take place on private lands, especially farms and ranches. While farmers and ranchers are eager to see the economic benefits of hosting wind farms and supplying biomass for energy, the track record with transmission development in America gives many of them pause. But again, new policies and practices can help make new infrastructure welcome in the American countryside. At the request of the Energy Foundation, we have developed some ideas for improved siting policies and practices, as part of America’s Power Plan. The Plan is a comprehensive response to the rapid changes in the power sector coming from new technologies, consumer demand, and policy. 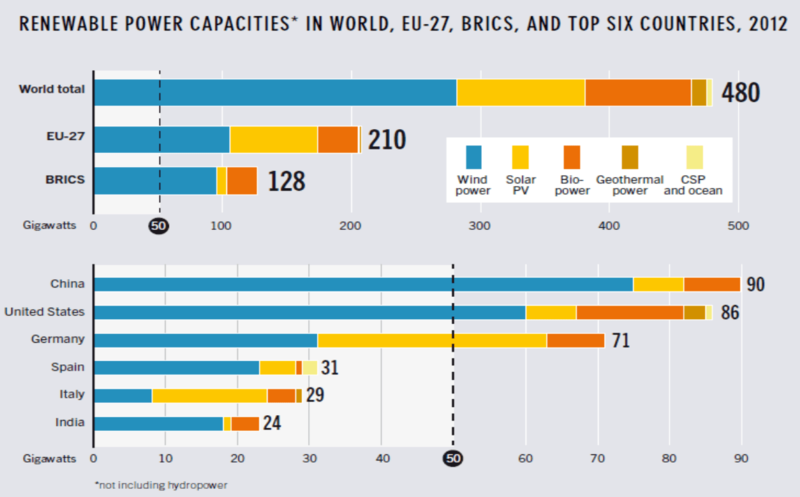 Siting new renewables and the associated infrastructure will be a key part of that transition. How much land will be needed to move to a high-renewables future? The National Renewable Energy Lab (NREL) calculates that getting 80 percent of our power from renewables would use about 200,000 square kilometers, less than 3 percent of the U.S. land base. Most of this would come from biomass production, such as growing prairie grasses and other fast growing species specifically for energy production. Wind power, though it needs open spaces, only takes a small amount of land away from farming and ranching. In one scenario, NREL estimates wind would need 87,000 square kilometers of space, but only use up 4,200 square kilometers. In a core scenario, NREL estimated the need for about 120 million “megawatt-miles” of new transmission, an investment of $6.5 billion per year between now and 2050 to reach 80 percent renewables. 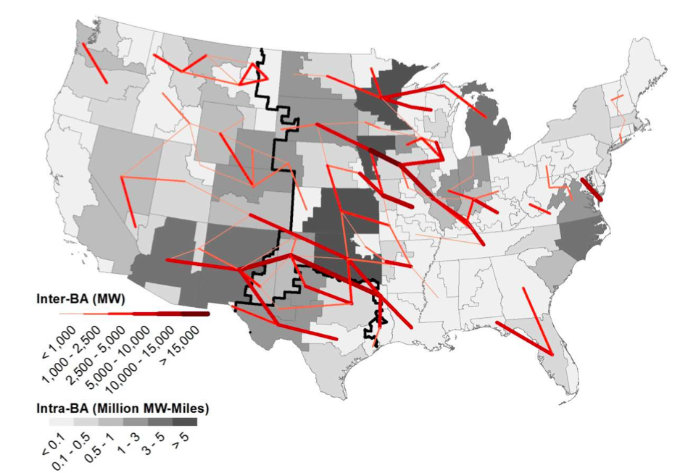 While this seems like a lot of lines—our current system has 150-200 million megawatt-miles—most of this would be built in the sparsely-populated wind belt (see the accompanying map). NREL also created a “constrained transmission” scenario, which limited new grid construction and forced more renewable generation closer to load. That scenario required only 25 million megawatt-miles additional, but had higher overall costs and more congestion. With thoughtful and integrated planning, we believe we can maximize the use of current lines and minimize the need for new. 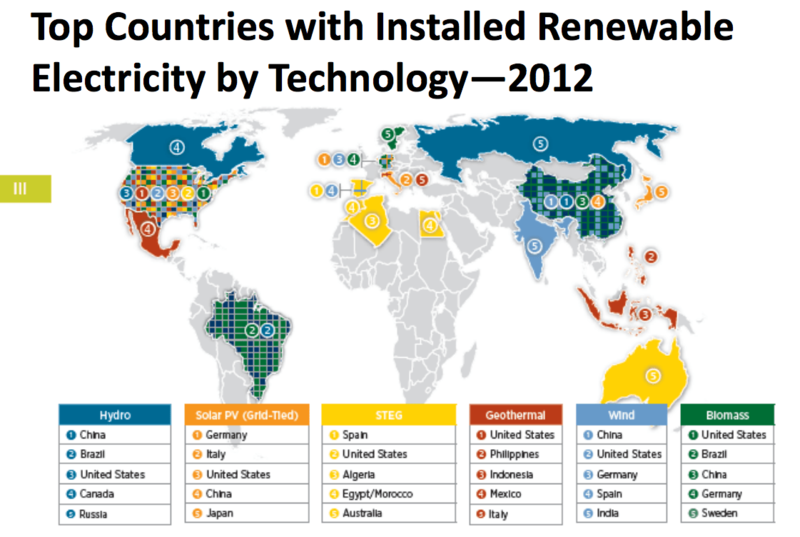 Source: NREL, Renewable Electricity Futures. While the Beltway conventional wisdom is that building transmission lines is “simply not feasible,” lines are in fact being built. Transmission investment is rising from a mid-1990s trough, with much new development intentionally benefiting renewables. In fact, new lines are starting to fill in the NREL map already. The three power systems stretching from Texas to Minnesota, called ERCOT, the Southwest Power Pool and MISO, have approved $20 billion of new lines to bring wind power to market. It is also helps that developers are becoming more sensitive to the concerns of communities and regulators. One developer, Clean Line Energy Partners, has had 600 public meetings in the process of siting a line from Iowa to Illinois. And the federal government has become proactive in addressing siting issues on public lands early and openly, through programs launched by former Interior Secretary Ken Salazar. The Bureau of Land Management has set aside 1,000 square miles of land in 24 solar-energy study areas and is evaluating them for appropriate development. These areas have the technical potential to generate nearly 100,000 megawatts of electricity or enough to power 29 million homes. Interior is working to encourage development of all renewables, especially offshore wind on the East Coast. As part of America’s Power Plan, we have developed a set of recommendations for smart reforms of policies and business practices. With the right changes, we can see continued success in siting new generation and transmission. First, of course, we must maximize the efficiency and use of the existing grid. “Non-wires” alternatives like targeted efficiency improvements, demand response, and distributed generation can help us wring more out of our existing transmission system. But the current grid was built for fossil and nuclear generators. A system for renewables will need to increase access to new regions, like the Midwestern wind belt and the sunny Southwest. It will also need to be more interconnected, to minimize the impacts of variable generation, like wind and solar. A package of reforms and best practices can reduce conflict and streamline the process of siting new projects, making it faster, cheaper, and less controversial. New approaches include engaging stakeholders early, accelerating innovative policy and business models, and employing “smart from the start” strategies to avoid the risk of environmental and cultural-resource conflicts. Institutional reforms may be the most critical, such as greater coordination among regulatory bodies and improved grid planning and operations. Developers and regulators should work with landowners to develop new options for private lands, including innovative compensation measures. A number of these improvements are being deployed already, such as in the Western Governors’ Association Regional Transmission Expansion Planning Project and the Interior Department’s pro-active work to site America’s first offshore wind farm. Modernizing the grid and transitioning to clean power sources need not cause harm to landowners, cultural sites or wildlife. On the contrary, taking action today will provide long lasting benefits. Zichella and Hladik are speaking at the Renewable Energy World Conference & Expo in Orlando, Florida on November 13 in session 19B - "Seizing Opportunities in Wind Development and Planning." Carl Zichella is Director of the Western Transmission, Land & Wildlife Program for the Natural Resources Defense Council. Johnathan Hladik is an attorney and energy policy advocate for the Center for Rural Affairs. Bentham Paulos is the manager of America’s Power Plan. Hi everybody. My first posting, found this article moments ago by one of my favorites Chris Nelder. Hope you find it of interest. Agelbert I had a problem deciding if this belonged here or general discussion. Feel free to move it if it is in the wrong spot. Still feeling my way around your very well thought out site. If the very words make you clutch your wallet and roll your eyes, I understand. After all, it was the innovation of mortgage-backed securities, credit default swaps and collateralized debt obligations that opened the door to an unprecedented level of financial recklessness and nearly brought down the global economy five years ago. However, at the risk of incurring the wrath of the market gods: This time it’s different. Another Mosaic innovation could open up a torrent of new capital: a security that will be eligible for purchase through IRA accounts. There is $17 trillion sitting in IRAs in the United States alone, according to Parish. Earlier this week, the Securities and Exchange Commission finally proposed rules defining the new terms. Investors with less than $100,000 in annual income and net worth will be able to invest up to $2,000 a year, or 5 percent of annual income or net worth, whichever is greater. Those criteria are considerably looser than the ones Mosaic has operated under thus far, so it will open a much larger pool of potential investors in renewable-energy- and efficiency-backed securities. “We’re glad to see financial innovation occurring in the renewable energy sector, including through use of securitized investments,” Parish told me. Thanks GO. I agree financing is definitely part of the big picture for renewables. Mosaic is doing a great job but now that California has made a pact with B.C., Canada and some other Northwest States to price carbon, the renewable energy projects, most of which have large depreciation time horizons which do justify long term financing, as your article pointed out, will hopefully get easier financing for the large up front costs. 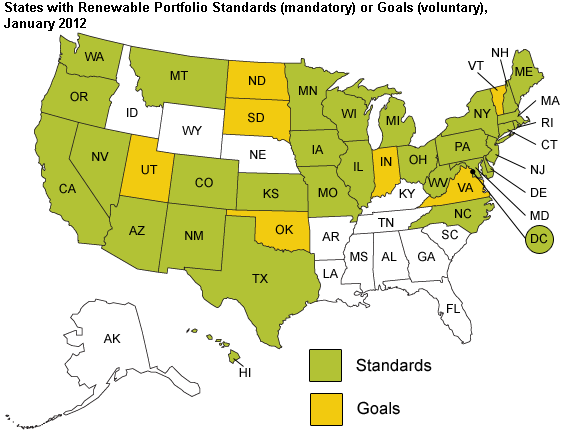 There are some states that are quite friendly to sustainable business ventures in renewable energy. Here's a snippet of a document written for the hypothetical venture capital investor with x amount of money for y type of renewable energy investment. Interestingly, Vermont is also at the forefront of the net metering debate. A report earlier this year found that solar net metering is a net-positive for the state, even with a state incentive factored in, and not including any tangential economic multipliers. Similar reports, and conclusions, have been published for California, New York, and Texas. 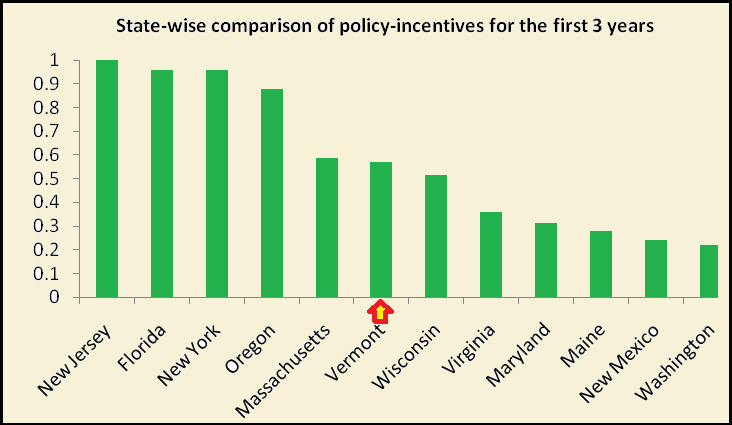 Unlike the other top 12 states, Vermont does not have a formal RPS policy; rather it has “goals” of 20 percent of electricity retail sales from renewable energy and combined heat/power by 2017 as part of a Sustainably Priced Energy Enterprise Development (SPEED) program. Beyond that, the state has targets for each providers’ annual electricity of 55 percent of retail sales in 2017, increasing 4 percent a year until reaching 75 percent by 2032. 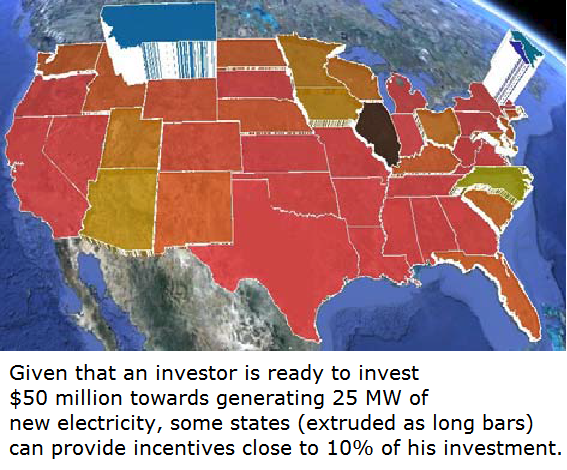 Vermont Has excellent Solar investment incentives. I wish the Federal Reserve would jump in and assign the SAME level of interest rates for Renewable Energy add-ons to homes and businesses as for housing construction and re-finance. That would be ROCKET FUEL for getting people quickly off of fossil fuel heat and electricity in their homes. The job spurt alone would be enough to goose our economy if the Wall Street crooks would stop trying to get a war going someplace and instead get some renewable energy cheap financing going here. Renewable energy is the quintessential wise investment because of the excellent EROEI. I read recently that Solartech or SolarCity (not sure which) is securitizing chunks of PV power purchase agreements (PPA).These are basically 25 to 30 year bonds that facilitate financing so I am certain some money people are getting on the band wagon. If you could find out who they are and report on it, I would be grateful. By the way, I'm making up for lack of certain emoticon buttons by putting images in the gallery of emoticons you can link to. You may have to size them but once you've got the right width and height, it's a cinch. Big FINANCIAL Innovation Emerging in Renewable Energy! Silicon Valley solar company SolarCity last week quietly did something that could revolutionize renewable energy in the United States. No, the company did not invent a radically more efficient or cheaper photovoltaic panel. Rather, it announced it plans to sell $54 million in asset-backed securities. And that is a very big deal, even if the dollar amount of the notes on offer is rather small. That’s because the assets backing the securities are leases for some of the rooftop solar systems it has installed on homes across the country. 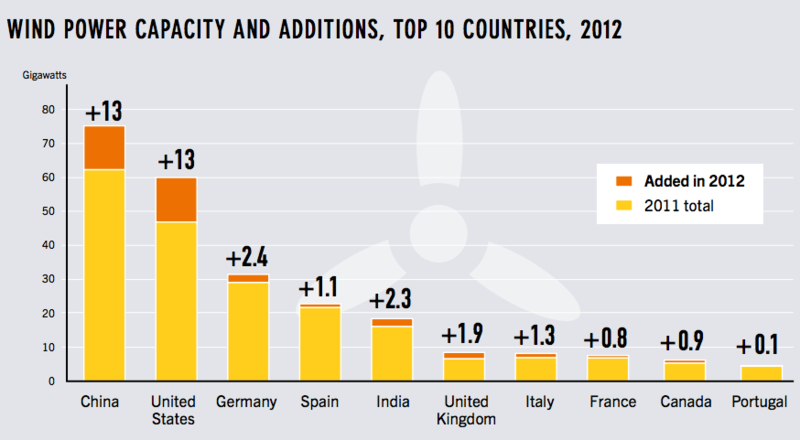 Hundreds of millions of dollars in solar leases have been signed in the U.S. in recent years. If those leases can be bundled and sold to pension funds and other investors, “solar securitization” could open up a potentially huge new pool of capital that could be tapped to finance the expansion of renewable energy as federal and state tax breaks for renewable energy begin to expire. For homeowners and businesses, solar securitization could translate into cheaper electricity. A SolarCity spokesman declined to comment on the securities offering. Much of the innovation responsible for the solar industry’s explosive growth has been financial rather than technological. 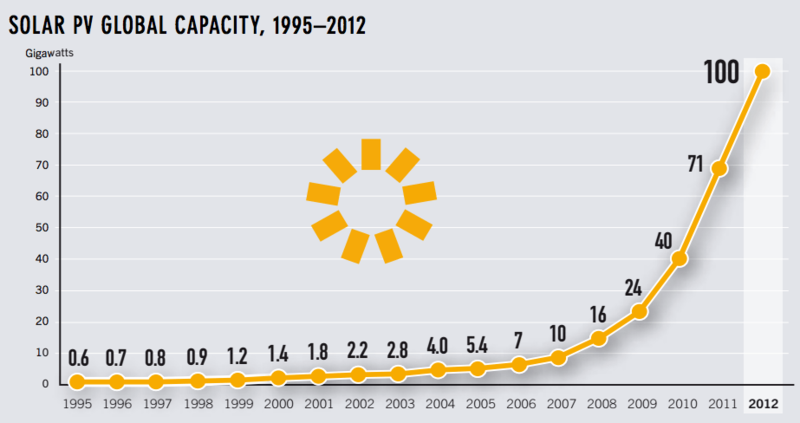 Half the U.S.’s solar capacity, for instance, was installed just in 2012. Driving those sales was the ability of homeowners to avoid the five-figure cost of a photovoltaic system by leasing it for a monthly payment that often is lower than what they’d pay their local utility. Anywhere between 75 and 90 percent of all solar systems are now leased as a result. That’s a lot of demand sitting around waiting to be monetized. After all, Wall Street for years has packaged leases for planes, trains and automobiles and sold them to investors. The risk is considered manageable as rating agencies like Standard & Poor’s evaluate the credit-worthiness of such investments can rely on decades of data on the value of those rolling assets as well as the credit scores of people who sign the leases. Solar panels, on the other hand, are a relatively new technology and have only become a mass market over the past few years. Then there’s the specter of the subprime mortgage debacle that crashed the global economy when the value of both the homes securing mortgage-backed securities and the credit-worthiness of the homeowners proved an illusion. The risks of subprime solar is probably low. 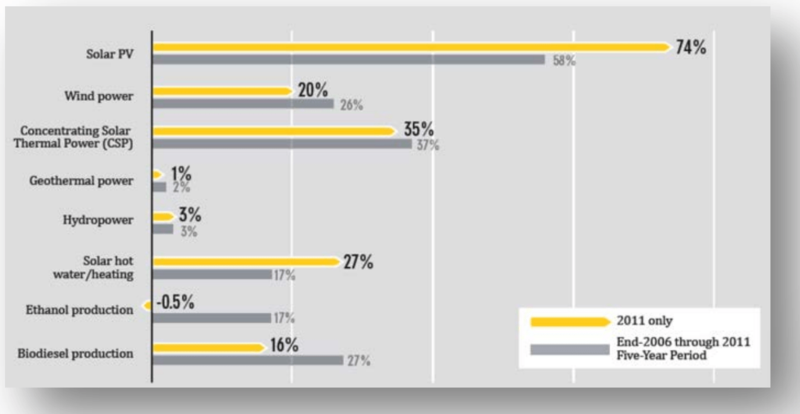 Solar installers like SolarCity, Sungevity, and SunRun only sign leases with customers with high credit scores. And most homeowners are likely to continue paying their electricity bill even if they can’t make their car payment. Agelbert NOTE: OF COURSE they haven't experienced any "issues" with Chinese-made panels BECAUSE the hit piece in the New York Times was overblown THEN and has proven to lack substance. I can provide links to anyone interested in seeing that there was NEVER an actual quality control problem above a tiny (less than 3%!) of production and that was ONLY for a few months. The article was a scare tactic, not a balanced piece of industrial quality control problem news. That makes Big Data companies like kWh Analytics crucial for the success of solar securitization. The Oakland, California, startup analyzes the real-time performance of some 10,000 solar systems—including 3 million photovoltaic modules—to help investors evaluate the risk of putting money into solar assets. The U.S. Department of Energy recently awarded kWh $450,000. Richard Matsui, kWh’s chief executive, told The Atlantic that his company will use that money to build out a comprehensive database similar to one assembled to analyze home mortgages by a company called CoreLogic. 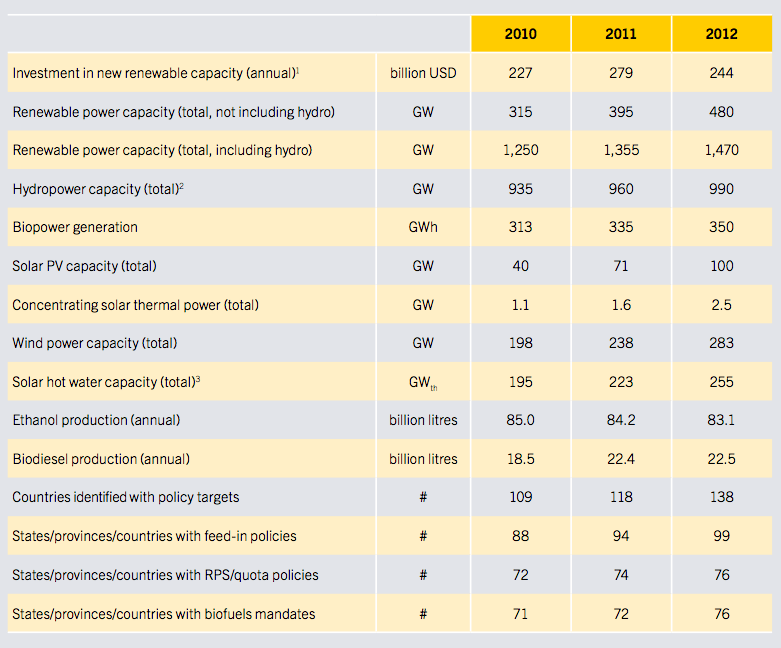 Agelbert NOTE: Matsui is obviously talking his book so he can milk the "pricing renewable energy" cash cow to hilt! I think the risks are overblown. Here's why. PV is NOT a new technology; it has been tested to beat the band. We have had PV in outer space for over 40 years! Yes the efficency has improved but the durability, unlike what this article is sweating, is an establishe MTBF (mean time between/before failure) born of no nonsense testing. They will probably last longer than 25 years. Planes, trains and automobile securitized leases are FAR more risky and yet Wall Street securitizes these rapidly depreciating assets that are simply not in the same league as PV (or wind turbines, for that matter). 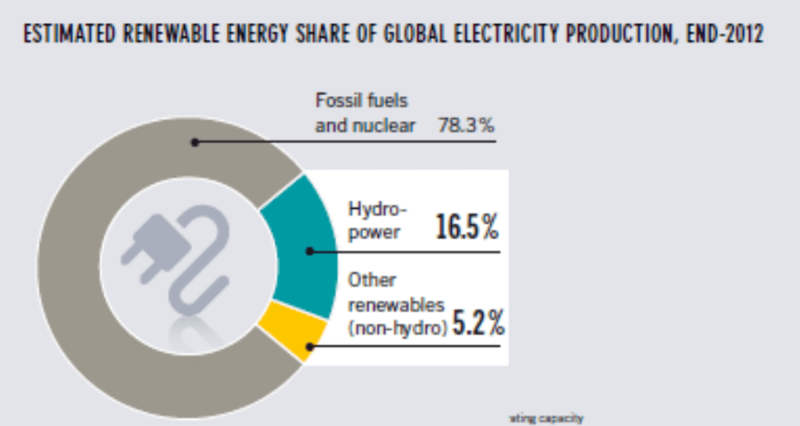 Renewable energy, from wind turbines to PV to geothermal to hydropower has been MUCH MORE scrutinized than dirty energy fossil fuel power plants or nuclear power plants ever were in regard to cost-benefit. So these jitters are simply NOT justified. The securitization gate has been opened. Unlike the CRAP securitization for mortgages SCAM, this is the real thing and, if priced correctly, should be quite popular. With this financial boost the Renewable Energy "Genie" is out of the bottle! Enjoy the death of fossil and nuclear fuels! Imagine where we would be today if our government had spent the resources on getting us out of our Global Warming Fossil Fuel burning emergency as it did bailing out the banksters from their evil ways. Yep. It would be a different, and much healthier world. I hope it's not too late. That was this generation's Apollo program, gents. And the money went right into the bankster's pockets. On July 12, 2012 I posted this video arguing that the assumption that GDP GROWTH needs to TRACK energy use growth is a misconception. Zero Hedge pundits, TAE Nicole Foss, Professor Charles Hall (darling of The Oil Drum), several diners and other energy experts out there have made the same FALSE claim over and over. I posted this video on page six of the Waste Based society thread on the Doomstead Diner Forum. Go back and read what diners had to say, Find out how WRONG they were on subsequent page comments. In the last year and a half, everything I claimed about energy and the cost effectiveness and GREATER EROEI of renewable energy over dirty energy has been proven right. Have a nice day. Experimental Phycisist Amory Lovins is still at the Rocky Mountain Institute and still doing outstanding work. Here's one of his recent videos. 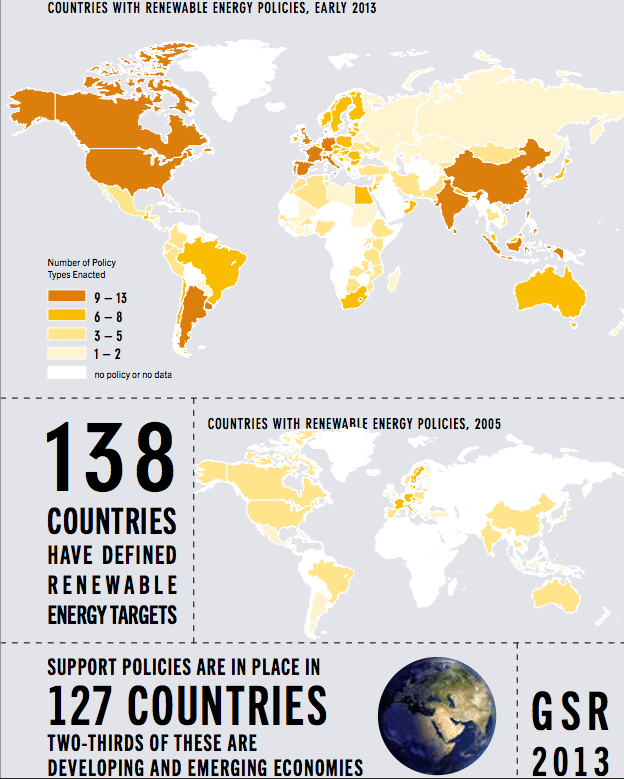 It FURTHER reinforces THE FACT THAT GDP growth does not have to track energy use! A world-renowned energy expert, Amory Lovins, visits the forefront of Japan's energy shift to propose ways for its energy future. Lovins has been studying and visiting Japan since 1960s as he embarked on his profession. Lovins' message: Japan can lead the world in energy shift, if Japan realizes its potential for more energy efficiency and utilize its abundant renewable energy. 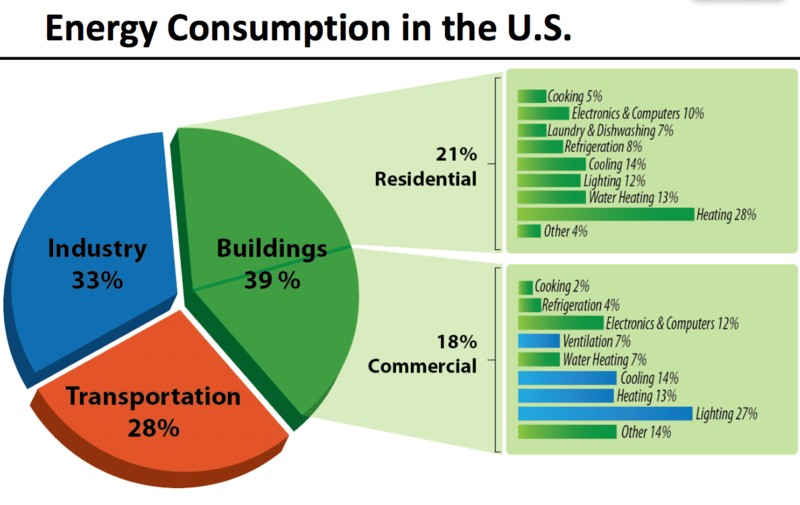 It may not be exciting to read about a new energy efficiency standard, but setting ever-more stringent requirements for appliances and equipment is one of the most powerful tools for cutting energy use in the US. This is especially true when it comes to motors - which consume about 50% of all industrial electricity, according to the US Energy Information Administration (EIA). The Department of Energy (DOE) is proposing long-overdue efficiency standards for electric motors, which operate everything from fans and pumps used for irrigation and wastewater treatment plants to elevators and conveyor belts. Over 30 years, these standards are expected to save 1 trillion kilowatt hours of electricity - enough to power almost every US home for a year, along with savings to businesses of $23.3 billion. In terms of carbon emissions, the savings equal taking 82 million cars off the road. 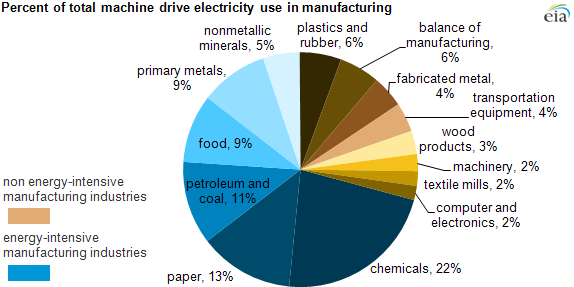 "The wide use of motors across many industries results in a substantial impact on the demand placed on power grids," says EIA, which projects that this increased efficiency will offset that of industrial output, resulting in relatively flat levels of electricity consumption by machine drives. And the impact will be felt across the world, where US standards are influencing overseas manufacturers to improve the efficiency of their motors, too. "Rather than trying to set slightly higher standards for electric motors already covered by two rounds of previous U.S. standards, we recommended that DOE expand the scope of coverage to many motor types not previously regulated," says American Council for an Energy Efficient Economy (ACEEE). This approach made sense to both manufacturers and environmental groups, all of which were involved in developing the new standards. Manufacturers like the fact that they can apply the proven designs they developed for existing regulated motors to more kinds of motors. Efficiency standards for motors now apply to almost all kinds of motors - from 1-500 horsepower. When Secretary Moniz took over DOE this year he promised to make efficiency more of a priority. Since then he's been moving on a series of efficiency standards that have long been delayed, such as commercial refrigeration equipment, furnace fans and metal halide light fixtures. Last year, the US used less energy than in 1999 and that's with an economy that's grown more than 25% since then. In fact, efficiency has contributed more to meeting US energy demand than all other resources combined over the past 40 years - more than coal, oil, or nuclear, concludes a report from the Natural Resources Defense Council (NRDC). When a major defense contractor like Lockheed Martin lays down some heavy stakes in the green energy field, you know it’s only a matter of time before fossil fuels lose their headlock on the global energy market. Lockheed recently teamed up with the green energy innovator Concord Blue Energy to take that company’s waste-to-energy technology global, and here’s where it gets really interesting: Concord Blue has just announced a new agreement to integrate its technology with the firm LanzaTech, which specializes in capturing carbon-loaded waste gas from industrial operations and converting it to high-value products. New Hampshire, USA -- Today the Obama administration issued an executive order re-establishing one of the proclamations from the climate change plans it issued this summer: significantly boosting the U.S. federal government's support of renewable energy to supply 20 percent of its energy consumption by 2020. 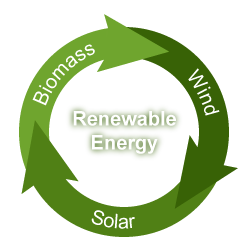 The order maintains the definitions of "renewable energy" as those laid out in Executive Order 13514 circa 2009: solar, wind, biomass, landfill gas, ocean (tidal, wave, current, and thermal), geothermal, municipal solid waste, and new hydroelectric generation capacity from existing projects (increasing their efficiency or adding more capacity). This 20/2020 renewables mandate prioritizes on-site production or procurement, retaining renewable energy certificates (REC); followed by purchasing the electricity and RECs, and then just purchasing the RECs alone. For on-site projects the government urges a focus on brownfield sites including contaminated lands, landfills, and mines. There's also a plan to add Green Button pilots on federal facilities, coordinating efforts among the DOE, FEMP, and EPA, which will update the Energy Star Portfolio Manager to include building energy usage data using Green Button. Note the U.S. military arms already are under a legal mandate to reach 25 percent renewable energy consumption by 2025, which will amount to 1 GW of new installed capacity each for the Army, Navy, and Air Force. What's missing, of course, is any direction or definition on how agencies and federal facilities should build or obtain all this new capacity, what is the overall mix among renewable sources, how much money this effort will save, or how it will be paid for. Nevertheless, "this is a landmark moment in our nation's history," proclaimed Rhone Resch, president/CEO of the Solar Energy Industries Association (SEIA). 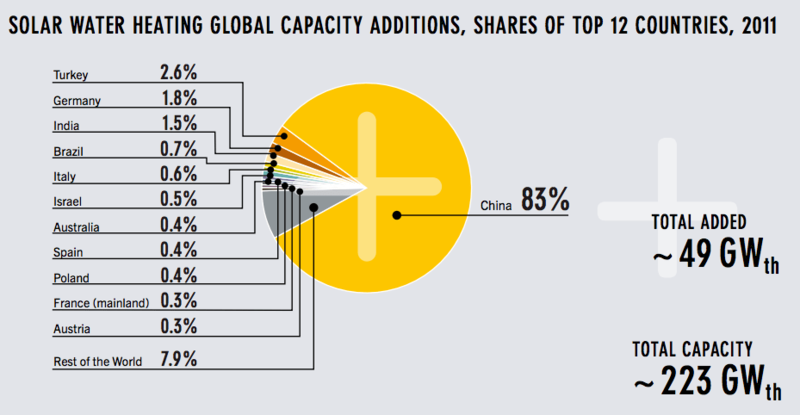 The solar industry is already doing its part, with more than 10 GW of installed capacity and representing nearly all the nation's new electricity generation. He also urged the administration to set up a more modernized procurement process that lets agencies adopt long-term power purchase agreements (PPA). Back in June the Union of Concerned Scientists' Mike Jacobs suggested those 20/2020 goals shouldn't be too difficult given that many states are already approaching or even exceed that number. We'll keep updating this story as more details and analysis becomes available.